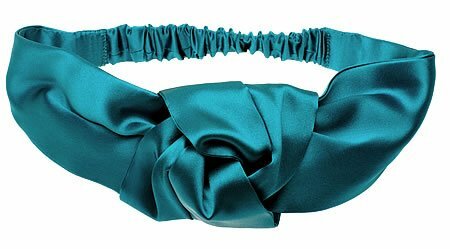 L. Erickson USA Silk Charmeuse Knot Turban - Silk Charmeuse Teal by L. Erickson USA at Laurenee Lifestyle. MPN: L3073E-SC-356. Hurry! Limited time offer. Offer valid only while supplies last. The L. Erickson USA Knot Turban is a chic new style with classic roots. Show off your appreciation for comfortable styling with this hot new look. The L. Erickson USA Knot Turban is a chic new style with classic roots. Show off your appreciation for comfortable styling with this hot new look. Can be used to pull back, or wear over your hair. Luxury fabrics, comfortable stretch elastic helps keep in place. Elastic back stretches comfortably to 11.5"
If you have any questions about this product by L. Erickson USA, contact us by completing and submitting the form below. If you are looking for a specif part number, please include it with your message.